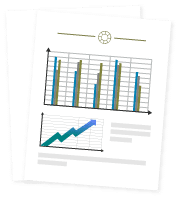 These tips have generated over 8 figures for my clients! “If only I knew how to get new chiropractic patients easier”. This is one of the most common phrases I hear from chiropractors that I talk to.. Whether you’re a chiropractor or an agency specializing in chiropractor marketing, I’m sure you’ve had the same sentiment at least once in your career. 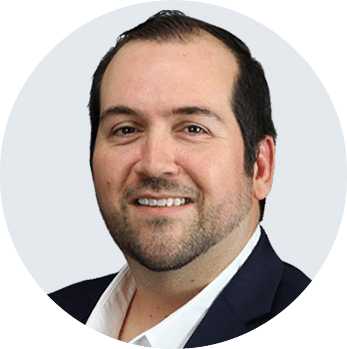 And in this blog post, I’m going to show 7 proven secrets to getting a steady flow of patients from social media sites. Why turn to social media for Chiropractic marketing? Just out of curiosity, I wanted to know how many Americans suffer from back pain. Turns out that eighty percent of the entire American population will experience back pain at some point in their lives. …you can bet that most Americans who have back pains are on social media. There are more, but I don’t have any more room here. Your patients are waiting for you on social media. If your patients are on social media, then there’s no reason why you shouldn’t be there as well. 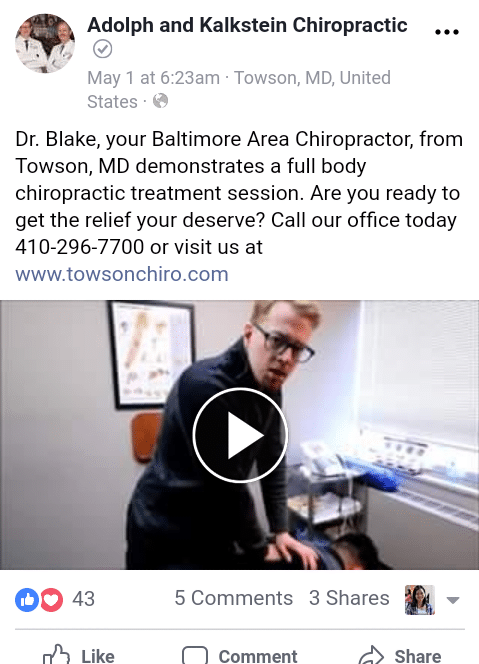 Chiropractor marketing on social media is bringing in more leads per day than traditional marketing will ever do. I’m sure I don’t have to introduce Facebook. 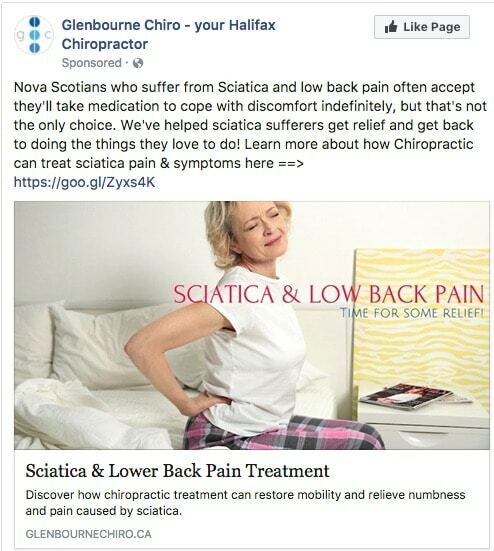 But not many chiropractors know the power of Facebook ads. Majority of the marketing experts think that Facebook ads are the best chiropractic marketing strategy for generating new patients. It’s also one of the cheapest chiropractor marketing tools out there. Healthcare’s average CPC is at $1.32- one of the lowest in the bunch. 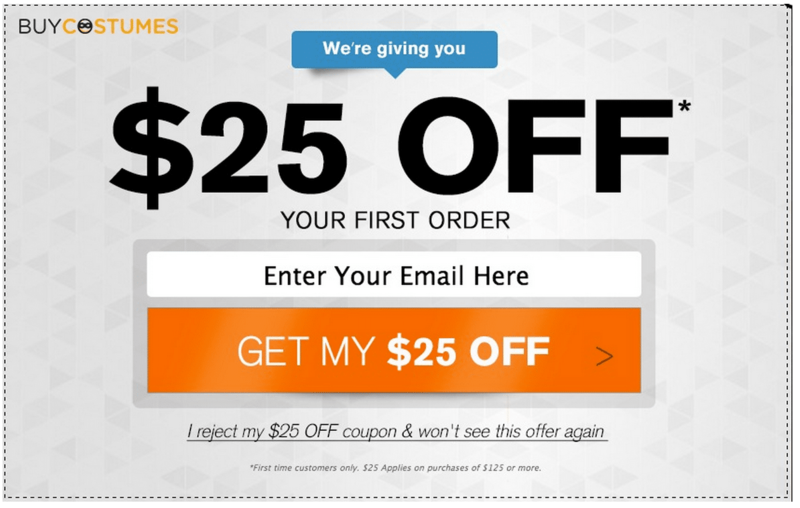 This means that… you can get people to click on your ad for just $1.32. 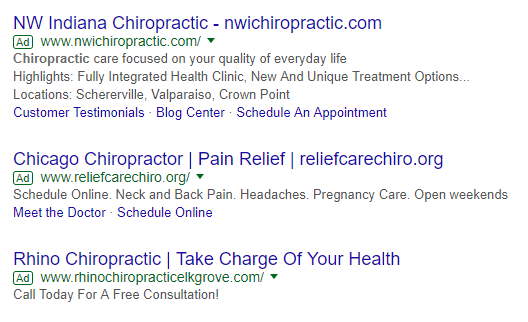 As shown in Search (these are the ads that appear on Google’s results page), the Health and Medical industry has an average CPC of $2.62. 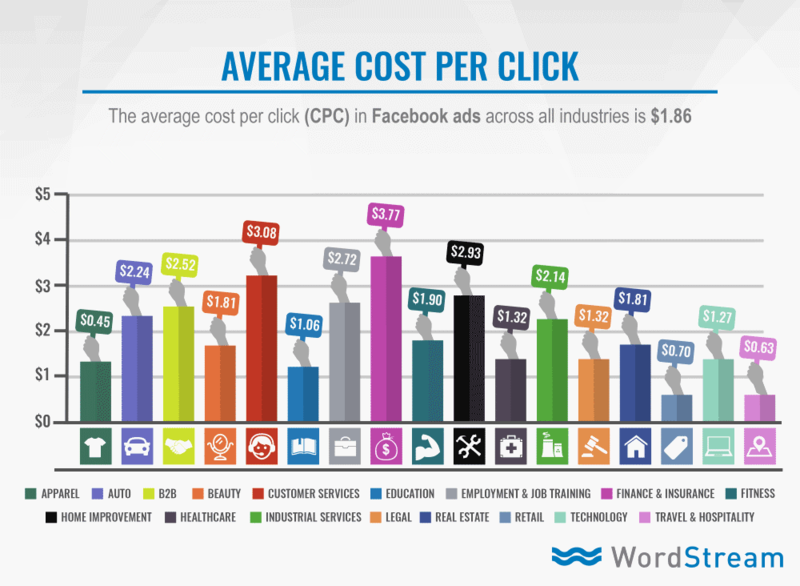 Facebook definitely has the upper hand when it comes to affordability. Another thing that I love about Facebook ads is the ability to finetune your audience targeting. So you can reach parents of children aged 0 to 3 or find those who recently got engaged. You can even see who recently sold a car or find individuals in a certain salary bracket. With these options, the possibilities are endless when it comes to targeting your audience. 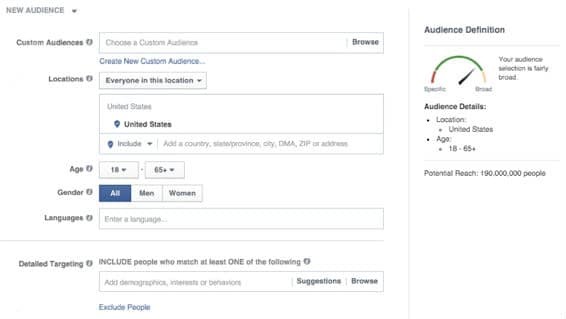 If you want to learn more about Facebook audience targeting, check out The Beginner’s Guide to Facebook Audiences and Targeting. Ah, the most-loved app of millennials. The home of food, travel, and fashion bloggers…but Instagram is so much more than that. Okay. Let these numbers sink in. When 120 million Instagrammers contact businesses on Instagram, you know it’s the place to be. And did you know that people respond better to visual content? Video content on Instagram gest MORE SHARES and LIKES than any other social media sites. Instagram users are also known to be super engaged with businesses they like. With a single, FREE post, this chiropractic business got a total of 2 interested leads tagging their friends and one amazing testimonial. See how huge this is? … but you also need to be super consistent with posting. If you start posting twice a day, you should not post below this frequency because you will see a drop in post reach and engagement. Learn more about Instagram marketing here: How to Use Instagram for Business: A Complete Guide for Marketers. These are advertisements made with Google Adwords. Ads like these earn thousands because they’re highly effective in getting leads. 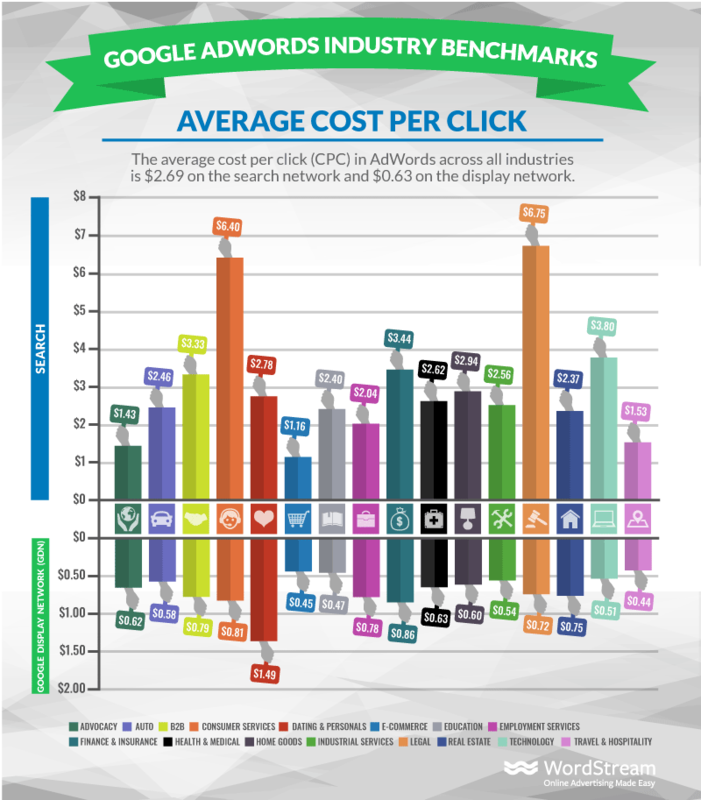 But many marketers have written Google Adwords off as a way to collect leads. It’s because Google is now stricter when it comes to approving landing pages. So how can you come up with a landing page that’s Google friendly? Making unsubstantiated claims. Ex: Lose 20 pounds in 10 days with our green coffee! Instead, you can turn it into a story: How a busy doctor lost 20 pounds in 10 days with our green coffee. Making unsubstantiated claims on other pages of your site. You can be sure that Google will check. Using redirects. The URL in your ad MUST NOT lead users to a different URL. If your landing page has a video: Not displaying the play/pause controls and length of the video. If you want a list of everything you need to do to make sure your landing page is Google-compliant, check this out. Don’t be spammy and deceptive. Give your business a human side. Facebook Live lets you do just that. It lets you share videos to your social media followers in real time. Or you can hold a webinar and invite a top chiropractor – maybe even do a short interview with him/her. You could tackle different topics to educate people about your field. Maybe let them know about the benefits of seeking pain relief alternatives. Try to come up with more chiropractic event ideas to liven things up. Did I also say that doing FB Live is totally free? Now that’s what I call a winning strategy. …it is also great for networking. The key to using Facebook groups is thinking of your audience and their relevant interest. If you’re a chiropractor, your ideal audience must be interested in anything related to back pain. 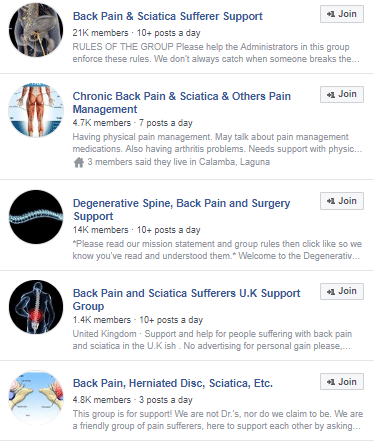 So you have to look for back pain-related groups. Look at all those numbers. The first group even has over 20K members and gets more than 10 posts a day. These are the types of groups that you want to join. Join the groups and be helpful. You’re a chiropractor so you know how to address their pain. And remember those chiropractic event ideas? Once you’ve established yourself as a helpful member of the community, you can also promote your social events in these groups. What do I mean by RIGHT CONTENT? Every post you share must add value to your Facebook group. Meaningful content includes educational or inspirational stories. 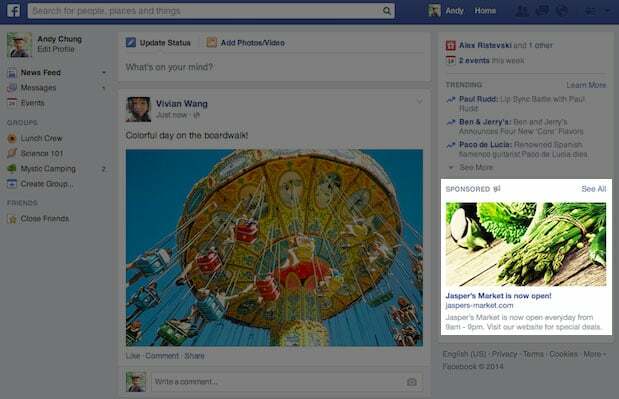 You can also share occasional entertaining content. One of my most favorite posts is the social proof post where you post a progress related to your business. Maybe post a story of how you helped relieve the back pain of a patient. You also have to be consistently VISIBLE. Be consistent so that the members won’t forget you. Consistently add value to the group, and soon you’ll have a group of people ready to do business with you. I think everyone- even my grandma – has heard of YouTube. This mammoth of a social media site is completely FREE to use, so there’s really no reason to be there. Less than 10 percent of small businesses in the United States use it. …there’s a huge chance that only a few chiropractors are using it. And only a few of these had a real following. 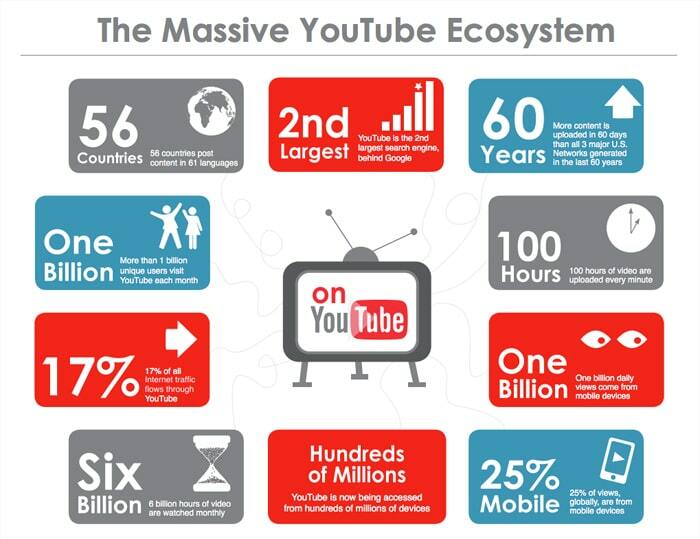 What makes YouTube marketing so attractive? The first reason is videos on this website are search-engine friendly. Aside from ranking well in Google’s video search, they also show up in YouTube’s very own search engine. Why is that a great thing? Well, Google is the most used search engine and YouTube comes second. This simply means that if your goal is to have people see your content, posting it on YouTube gives you an edge over competitors. This is a favorite among most online marketers. Fifty-six percent of businesses think that email is the best tool to retain their patients, with social media being second. You collect emails from patients and leads, send them strategic emails, and hopefully develop enough trust to book an appointment with them. Let’s deal with the first step which is collecting emails. How do you get strangers to give their email addresses to you? Do you remember how your mom told you not to accept candies and other treats from strangers? This is based on the assumption that if a stranger gives you a treat, you’d give them something in return. Like a free eBook on how to ease and prevent lower back pain. Or a coupon code, gift certificate, or an exclusive discount. These are called “lead magnet”. Dangle the carrot in front of the rabbit and it’ll hop. 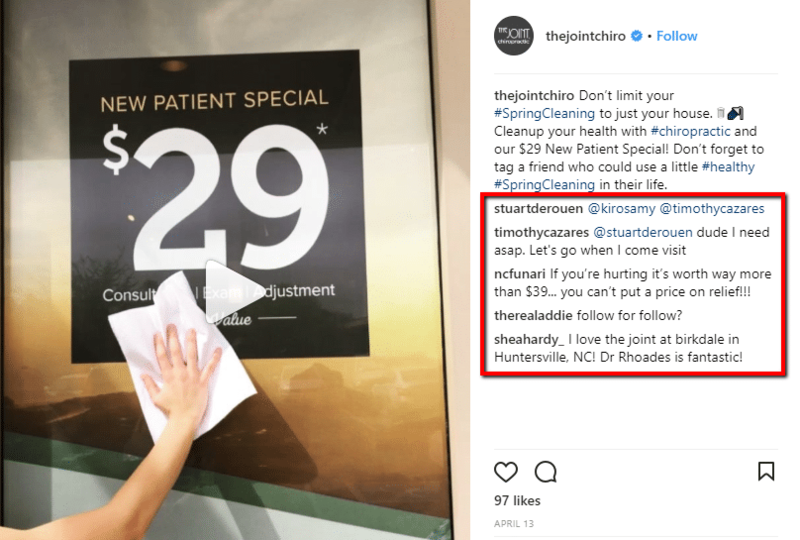 There we have it: seven ideas on how to get new chiropractic patients on social media. Now I’d like to hear your thoughts. 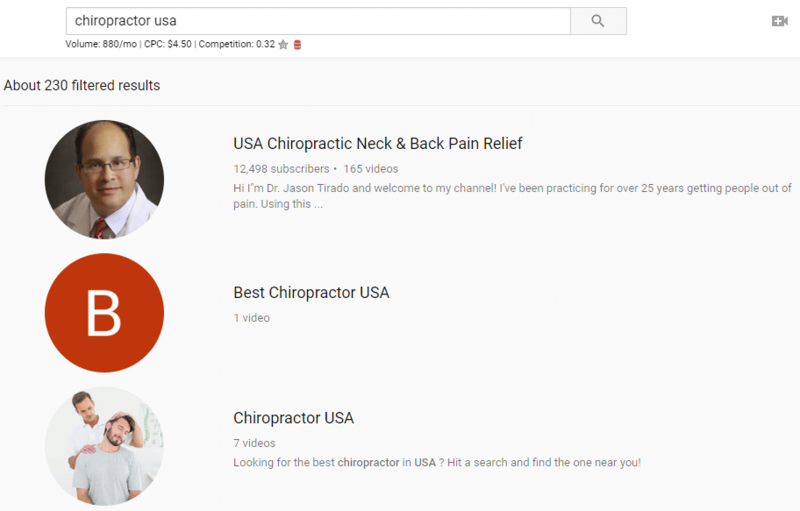 Which one or two of these chiropractor marketing strategies would you like to try your luck with? Or maybe you have a question about the strategies I discussed. Want to grow your business or generate leads, or struggling with Facebook Ads? When it comes to generating leads, Danny isn't called "Traffic Master" for nothing!